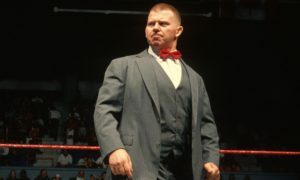 It is suggested in this retrospective of Bob Backlund’s career that he was a forerunner, some thirty years earlier, of the John Cena effect on fans. I’m not so much remembering a give and take of the fans, some hating, some loving, as much as noticing the disconnect between the passionate fans of professional wrestling and of a certain Living Legend, and the portrayal of a World Champion by Backlund. Sure, historians and revisionists will say that Backlund’s reign was marred by the predetermined length of Superstar Billy Graham’s holding of the belt, but I’m still convinced, especially after reading this book, that there was a disconnect that constantly held Backlund back, if I dare say so, from enjoying the passions of the WWWF fandom. Which is ironic, since the opening chapters of this book were compelling, passionate and vastly interesting, and the concluding chapter spoke much about the passions of the Princeton, Minnesota native and seventh person to hold the most prestigious gold of the 1960’s and 1970’s. Bob Backlund had a lot of Old School training, but his legacy was planted in both eras. Backlund was discovered by Eddie Sharkey and got significant training and breaks from the Funks, Harley Race and Eddie Graham. He learned the ropes in the territories, where jobbers and jobbing were part of the business. That aspect of the book was a great insight, showing how he learned, how he toiled on the road and how he made his mark, once the opportunity was given him. 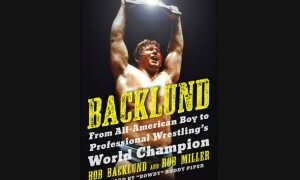 It is obvious from history, other writings and the book that Backlund was groomed for what could have been an NWA Championship run, or perhaps it was always for the WWWF Backlund’s professed lack of politicking gives him the ‘out’ to not fully reveal what he knew, or what he learned, about that monumental decision that skyrocketed his career. That’s a bit of a disappointment. As a transitional figure, Backlund is more known and has more of a reputation for what the moderns style is known for. 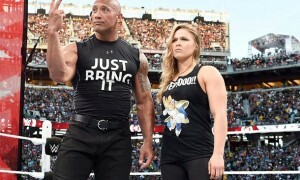 Sure, there’s Ric Flair: who took the lead with making sure his spots got in, disconnecting fan reaction from the match itself, and making character more important than storytelling. Yeah, I’m putting him in front of Hogan, but it’s hard to fashion Hogan as having a wrestling style, at least in this country, where he never really needed it, in his own take on professional wrestling. The thing is, and often seemingly in spite of a lot of words to the contrary in the book, Backlund already broke ground in failing to connect with the fans. He talks of his blue collar effort and workingman roots, but then wonders why Boston and Philadelphia never really took to him. That disconnect is quite evident in a rather tedious retelling of the Backlund Championship years. But along the way, there are some good tales, great commentary and a lot of insight in the ways a professional wrestler is supposed to wrestle, in the Old School style. Like so many professional wrestling books, the story starts out on fire, but there’s seemingly always a few criticisms, and a point where the book falls apart. Like a lot of very good books, this one captured the voice of the man, gave him character, showed him learning lessons, and explained the hard work and the rigors that made Champions in the Old School era. But storytelling in the ring, and on the printed page are very similar to me, which provides a lot of mirroring in terms of Backlund’s approach. The first critique that comes to me is that the quotes in the book were overdone. All come from the 19th Century version of Norman Vincent Peale (as I try my own JohnBradshawLayfieldism) to the ongoing comments from a who’s who of wrestling’s notables, there’s a certain sense of desperation in the words, and a pleasant avoidance of what can be read between the lines. As an aside, the quotes of Napoleon Hill are interesting, but a nearly 500 page book with every chapter lead by an obscure writer, instead of inserts from the various, insightful and again, who’s who of the professional wrestling world seems to be a wacky decision. Undoubtedly a decision by Mr. Backlund. (Yes, I’m referencing the “Mr. Backlund” of the 1990’s and of recent days). The Bob Backlund of Championship fame, and the Bob Backlund who’s elusive personal life is well discussed in the first 1/3 of this book, and the Bob Backlund that concludes this book is ill-served by the constant questioning of “who’s that”. (I mean, there’s Napoleon Bonaparte and there’s Napoleon Dynamite, so anyone has to dig deep to find out the proper references for Mr. Hill). Backlund, a true All-American, had the technical skills that overshadowed most previous All-American types and Olympic wrestlers, and now eclipsed only by Kurt Angle, had all the fundamentals, had the look, and had (as we’re told, repeatedly by himself and others) an understanding of the business that never quite surpassed the sum of the parts. In reading between the lines, recollections of my own, and remembrances of books written over the ages, Backlund’s skill was never the problem. The constant italicization of wrestling, the admissions of shyness and again, the constant references to his performances in the ring all reinforce that Backlund was never known for his mic skills. 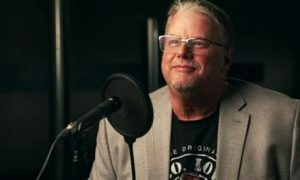 Backlund’s spelling out of the bookings, the matchups and the loaded cards that accompanied him at Madison Square Garden (and his constant references that the whole card makes the show) also lead to questioning. Why was Backlund surrounded by loaded cards at MSG? Why did Backlund write so much about wrestling different styles, and also wrestling the NWA style, when there is so much commentary (and again, reading between the lines and reading the quotes in the book) about his inability to sell? Why has Backlund over-focused on his in-ring ability? There’s another irony in where I perceive the book veering away from what seemed to be an awesome auto-biography, but I’ll let the readers read it themselves. But like so many professional wrestling books, there’s the obligatory Andre drinking story, the references to blading, and the sense that, at some point, the promises of a consistent book has derailed. Backlund’s early years are a story that inspires and teaches. His efforts to overcome his lot in life, and his efforts to build himself into a champion, plus the moral tale of expectations and expecting too much are words that go vastly beyond this infamous sport. When Backlund speaks of his formative years, his high school exploits and his passion for athletics (despite the indifference of his football coach) are glimpses into the real Bob Backlund. That genuine voice suddenly departs us after a few long quotes. I understand Backlund’s approach to family, but as a fan, do I want the nostalgia of a Champion retelling his month-by-month feuds, or do I was more glimpses into his life, especially after he left the sport and as he returned to it a decade later and generations removed from his days. Backlund’s position as a Champion among Champions cannot be challenged, because his longevity ranks him high on any real list (don’t get me started about the SI list). 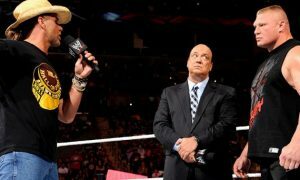 Even if McMahon Sr refused to give up on Backlund, as many have said, because of his own stubbornness, and even if a number of his peers were jealous in their commentary, there remains that sense of disconnect. To me, writing a book is a lot like wrestling a match. There’s an opening, a display of talent, the crafting of the story and the engagement of the fans. Then there’s the finish, which must be logical, compelling and build upon the middle of the match. Backlund’s story begins with passion and inspiration, and ends with a satisfying finish, just like applying the chicken-wing crossface on a dastardly heel. But in between, my take is a commentary on his disconnect with the fans as it mirrors the meandering retelling of feud after feud, telling a few tales in between, writing a bit too much about the midcarders and the guys before him and around him. Backlund had a bad habit of “not staying down”. Pat Patterson comments on this, as do others. Despite the rub and the overly kind words of Terry Funk, Bruno Sammartino and Ken Patera, there are a few more of those notes, there are a few too many insistences that Backlund had to be a good draw, and a few awkward references as to why he didn’t connect with Boston, or with Philadelphia. Like Backlund or not, the biggest problem with Bob Backlund the professional wrestling Champion seemed to be his inability to talk up his matches, his over-reliance on technical skills and trying to be the NWA World Champion in a Federation trailblazed by someone who was vastly more than a “brawler”. The passionate side of Backlund, that comes through tremendously in his later wrestling, where he relied upon a quirky character and a fascinating twist on being both a pure babyface and true heel to the dumbed down modern fan base of the 1990’s and today, comes through in the concluding pages. Like Backlund’s career, this book is worth of being placed among the top tier of the industry, but not quite the best, despite the passion and the talent and the stories told. But again, no one really said that Backlund couldn’t finish… only that he couldn’t connect.